So, you’ve got the time off accumulated and got your family on board with your next vacation idea — you’re going to Disney World! It doesn’t take much research to realize you’ve got a TON of options for your trip. The purpose of this guide is to give you a reference to use as you plan your trip. Decision #1: To stay in a hotel, or in an RV? There are pluses and minuses to both, of course. Disney World has a variety of wonderful “on-property” options, from “value resorts” (comparable to an inexpensive motel) to “deluxe resorts” (with elaborate suites), often within an easy walk or monorail ride to some of the parks. In addition, there are many less expensive “off-property” options where you can rent a condo or home for the week, or where you can stay at a less expensive motel. There are great benefits when you stay in an RV. You control the comfort of your home away from home, enjoying the simplicity of a full home on wheels and cooking up tasty (and even healthy) meals with ease. If your Orlando vacation includes multiple destinations, RVing is particularly awesome, as you don’t need to keep dragging your belongings in and out of motels! If you’re staying at a campground, your family has easy access to the outdoors, especially great for younger families who need space to run around. This option is equally good for pets, who will probably be more comfortable in the family RV. No need to seek out a pet-friendly hotel; just find a pet-friendly campground (very easy to come by unless you have an “aggressive” breed) for your furry friend. 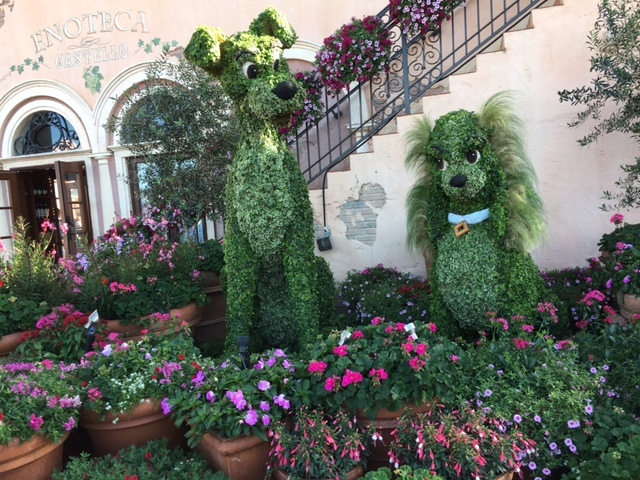 Whether you’re staying in a hotel or an RV, you can take advantage of Best Friends Pet Care, Disney’s on-site resort for pets. Whether they need to stay overnight or just need some daytime interaction while you’re off in the parks, this is a great option to keep in mind. Read on for the logistics of planning an RV Disney World vacation! Decision #2 Should I stay on-site, or off-site, for our Disney World vacation? First off, here’s a lesson on some Disney lingo. Staying in housing on-site, at Disney World itself, is referred to as “on-property”. Staying off-site is “off-property”, sometimes also referred to as “outside the World”. Deciding which option is right for your family can be a challenge, especially if you haven’t made a family trip to Disney World before. Since you’ve already decided you’re staying in an RV, your only “on-property” option is to stay at Fort Wilderness. Great choice! If you’re bringing your pet, this is an exciting option, because it’s also the only pet-friendly housing option on-property at Disney World. Fort Wilderness offers some beautiful cabins, but most people who stay there do so in RVs. Be sure to request a “pet-friendly loop” during booking if you’ve got a pet with you; this will add a $5 charge to your rate per night. Unfortunately, pets cannot stay in pop-up campers or tents. 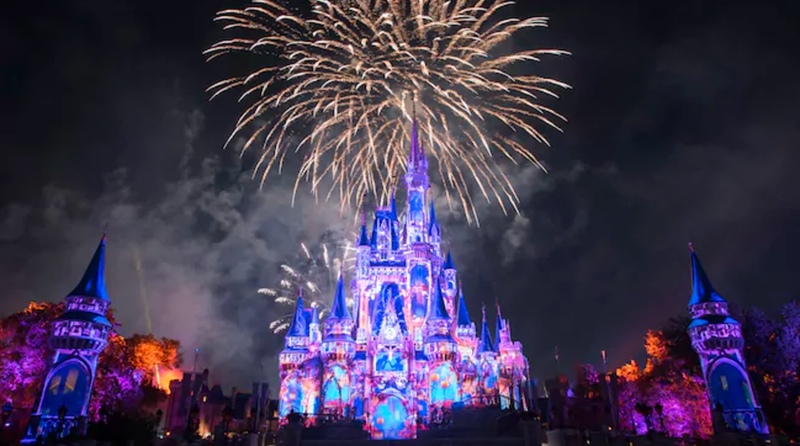 Staying on-property means you can take advantage of all of the perks Disney offers for guests who stay on-site, while taking advantage of the convenience and affordability of RVing, rather than staying in a resort hotel. 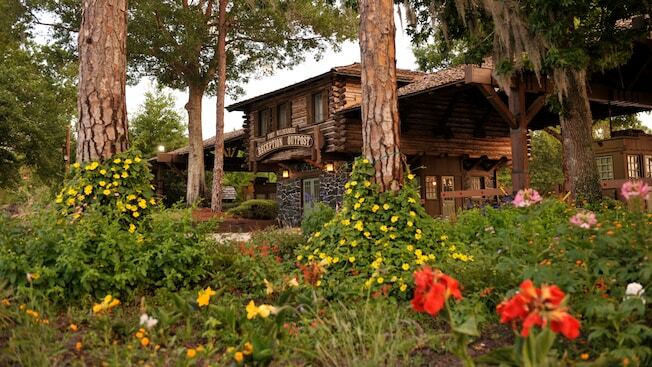 By staying at Fort Wilderness, you’ll be able to take advantage of Magic Hours. Magic Hours mean that on every day of your stay, Disney opens up a park early, leaves one open late, or offers a combination of the two, just for Disney hotel/housing guests. That means you can beat the crowds onto those hard to get rides (like Seven Dwarfs Mine Train and Frozen Ever After) you’d struggle to get on otherwise. Free MagicBand – no need for cash or a hard park ticket with this! Excellent variety of dining options at the campground & lots of fun activities for kids & adults alike, from pools to archery, carriage rides to movies, outdoor trails to campfire sing-alongs — there’s honestly so much to do here that you might want to take a day or two off from the parks to enjoy it all! As you can see, there are lots of great reasons to consider a stay at Fort Wilderness, but there are some negatives too that some campers aren’t prepared for. 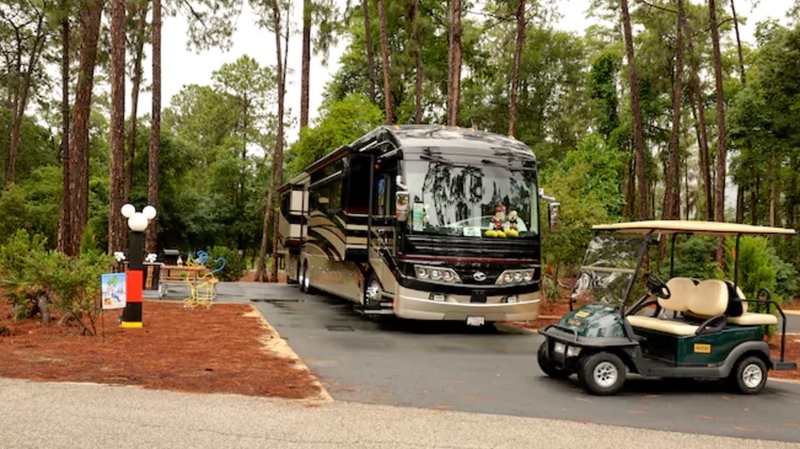 One frequent complaint is that the campground is so large that you’ll need to take the internal bus to get from place to place, especially if you don’t bring or rent your own transportation, like a golf cart or bike. So while there are tons of things to do at the campground, if your plan is just sleep in your RV and then hit the parks all day, you’ll need to wake up extra early to catch the bus or walk and then perhaps transfer to another form of transportation (like a boat, another bus, or your car) to reach your final destination. Check the hours of operation for transportation carefully to avoid disappointment, and don’t hesitate to consult with a Disney rep with your questions. The other major reason to choose to skip Fort Wilderness on your Disney RV vacation? It’s just expensive! You can expect to pay $60-$183/night, as of this writing, for your RV site, once you’ve added in tax. Add in fees for pets or a golf cart rental and your cost will increase further. Of course, if you were paying to stay at the other resorts, you could expect to spend anywhere from $100-$200 for a value resort, or more than $900 for a deluxe resort, and that wouldn’t even include the fees for additional people. Compared to paying $20-$50/night for campsites in most parts of the United States, your budget might not be ready for Fort Wilderness, so plan accordingly. Also keep in mind that some of the extra activities will require additional fees. When you’re researching other campgrounds in the area, be sure to do your homework about how close or far away they actually are from Disney World. Keep in mind that Disney World has four parks, plus water parks and Disney Springs. You’ll want to be accessible to all of these if you plan to visit them. I recommend staying a half hour or less from the parks if Disney World is the focus of your vacation. Plan to be within a fifteen minute drive, if you will be taking a break midday, every day. Planning to mix it up and visit other attractions, perhaps with some time in nature in the mix? Expand that range up to an hour. Don’t forget to consider the distance you’ll travel visiting other Orlando-area destinations like Universal Studios and Kennedy Space Center. My husband and I have stayed at Mouse Mountain. This is the cheapest option I’d consider if you’re looking at private RV parks. They’re fairly affordable and have an excellent monthly rate, and they’re less than a 20 minute drive to all of the parks. They don’t cater to children, but there’s a nice pool open during daylight hours, and it’s an easy drive (or walk if you dare on the busy road!) to the local supermarket or pharmacy. The main downside? Their bathrooms aren’t cleaned regularly, and it shows. Rates start at $38-$48/night, with weekly rates of $240/$280. Tropical Palms is another park in the area to consider. It’s very close to the parks (only about a 10 minute drive!) and prices range from $32/night to $63 and up. It looks very nice, with lots of activities, including dive-in movies, dance classes and a kid’s camp. Consider a City or State Park! My top choice, personally, would be to book far enough ahead to stay at one of the nearby state parks. 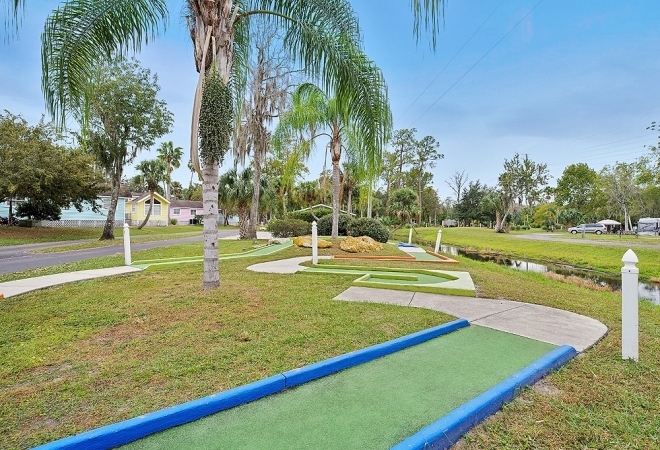 These are affordable and give you what’s perhaps the best of both worlds — proximity to Disney and a beautiful naturalistic setting as your home base. Moss Park is only $23/night, and Lake Louisa State Park is $24/night, according to their websites. It looks like they don’t provide sewer, so make sure your tanks are empty before you set up camp, but they provide nice bathrooms on site so you may not even need to use yours. Moss Park is more than an hour’s drive to the parks, so be aware. But Lake Louisa State Park is only about a half hour’s drive, so that would be my recommendation. Follow their guidelines for booking ahead of time — especially if you’re visiting in the winter months. So What’s the Bottom Line on Lodging? When I’ve stayed at Disney World, I’ve stayed off-property. I’ve had months at a time to visit Disney, perhaps 1-3 days per week. That’s a wonderful luxury. But for the average person who is vacationing at Disney World for a week or two, I definitely suggest booking Fort Wilderness if it’s in your budget. With limited funds, it is possible to save a lot of money by staying off-property. But don’t forget to factor in the costs of parking at the parks or of Uber/Lyft from your RV park. Disney parking is EXPENSIVE if you’re not staying on property (though no need to pay for parking if Uber or Lyft is dropping you off!). Current rates to park are $20/car, $22/RV – or you can pay $40 for “preferred parking”, which everyone has acknowledged isn’t worth paying extra. Also, be sure you’ve factored in the campground fees for extra people, pets, visitors or anything else that might be relevant as you plan your vacation. Believe it or not, you’re much more likely to incur those extra rates off-property since Disney allows up to 10 people on one site. So if you can swing for the Disney rates, I think you’ll enjoy the experience and the perks of staying on-property enough to justify the inconveniences. As it is with any vacation, one of the most important parts of planning your Disney World RV vacation is budgeting. But many people can really suffer from sticker shock when they plan their Disney vacation, so it bears emphasis here. Here are some of the areas to include in your budget. If you own an RV, you’ve probably got that covered! Just budget for gas for your RV and for your car if you plan to drive to the parks. Renting a car? Be sure to budget for that too, including any extra fees for car seats/extra drivers/extra mileage. 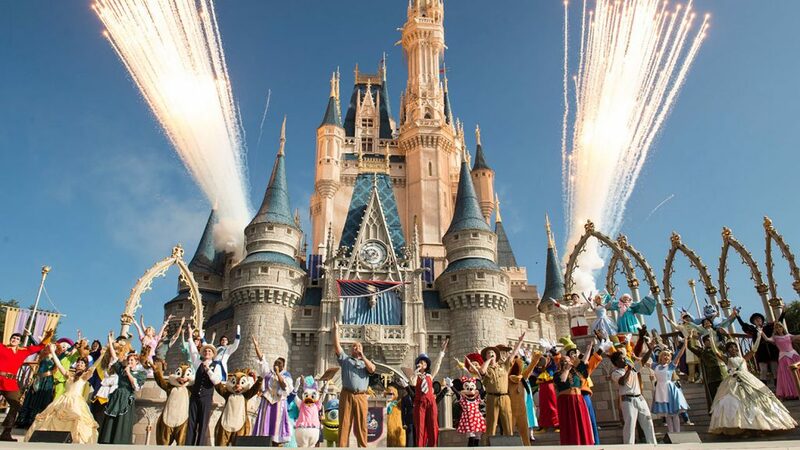 If you plan to rent an RV for your Disney vacation, there are lots of great rentals available. Be sure to check the latest from Outdoorsy. The rental owners can even throw in linens and kitchenware if you need it! And again, depending on where you’re staying, consider how you’ll be getting around day to day. Disney’s free transportation at Fort Wilderness is convenient, but can be a slower option. Need a break from the parks midday for naps/pool/rest? That’s an especially good reason to rent a car — but be prepared for traffic. Need a ride from the airport? Disney’s Magical Express is free from the Orlando airport, if you’re staying at Fort Wilderness. Otherwise, be sure to budget for a shuttle or taxi — Disney World is almost an hour away from the airport. Oh yes, food is so important on our vacations! Having an RV is amazing, because you can cook in the RV, on a campfire, or grill! I highly recommend bringing your favorite cast iron skillet if you’re driving. They’re perfect for the stove and the campfire. Most RVs include a stove top and a microwave, and the one you’re using may also include an oven, toaster, grill or other extras. I make almost all of my meals on the stove top. Preparing meals in your own dedicated space (not a hotel room) is a huge benefit of your RV vacation. This is also extremely helpful if you have family members with food allergies or dietary concerns. 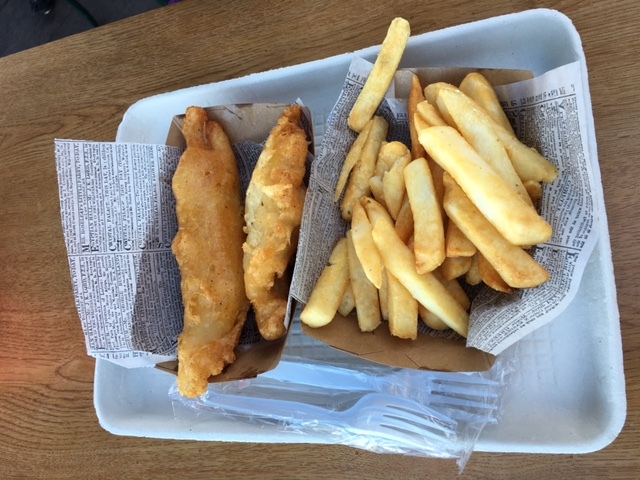 Also, consider what you’ll be eating at the parks! If you’re vacationing at Disney World, chances are you’ll need to eat while you’re in the parks. If you haven’t been for a while, you may not be familiar with some of the amazing restaurants (both counter service and sit down) available now at Disney World. I’m a big fan of Skipper Canteen in the Magic Kingdom, as well almost anything at Animal Kingdom and most of the World Showcase at Epcot. Unless it’s important to you to do a character breakfast, I recommend packing an on-the-go breakfast and lots of snacks, and then planning to eat at least one meal in the parks, if you can afford it. 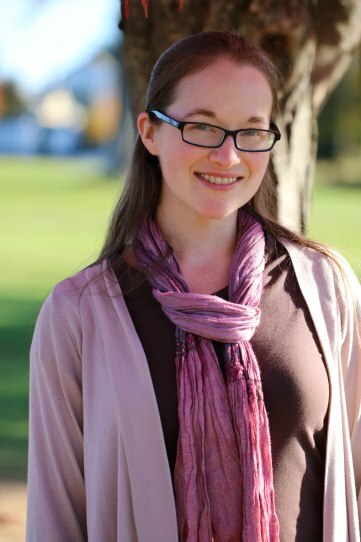 Have any food allergies or dietary concerns? Disney restaurants are excellent at accommodating! Just let them know during booking, and when possible, schedule your meals for slower times when the chef won’t be as overwhelmed. Even counter service will have allergy-free menus and will talk to you about your options when requested. Make sure you budget for groceries — and figure out how you’ll get them. Garden Grocer and Amazon Prime are two of the companies that deliver to your hotel or campground, but you may prefer to save money and shop for them on your own before you arrive. Don’t bother purchasing Prime specifically for your trip, but if you have it already, it’s worth considering using it. Don’t forget the sunscreen! Note: water bottles, while convenient, aren’t technically necessary for your grocery list. Bring a reusable one and you can refill it for free, or just ask for ice water at the counter service restaurants. It’s free! Make sure to factor in the cost of your campground, in full. Any fees for extra people? Pets? Do they allow campfires? Is there a curfew? Be sure to learn the rules of the campground before you commit to spending your vacation there. Transportation factors in here as well. How will you get from your campground to the parks? Car? Disney water or bus transportation? Uber/Lyft? Disney’s new “Minnie Vans”, run by Lyft? Learn the start and end times of your chosen transportation and plan an alternative if you might need it. One additional thought about lodging; some RVers enjoy boondocking, or staying (often for free) without hookups. In many parts of the country, especially out West, you can stay for free easily this way. But in the Orlando area, Walmarts and other common places won’t let you stay overnight. So unless you want to befriend Cracker Barrel and drive a fairly long distance into the parks, I’d recommend a campground! Staying at Fort Wilderness? You can park everywhere for free! Otherwise you’ll be paying for parking, unless you purchase an annual pass. Be prepared! One nice thing? It’s free to park at Disney Springs, the wonderful outdoor shopping area formerly known as Downtown Disney. How much do you have to spend on fun stuff? Disney will try to upsell you whenever they can, so be prepared with a budget. Those t-shirts, pins and Mickey ears start to add up. 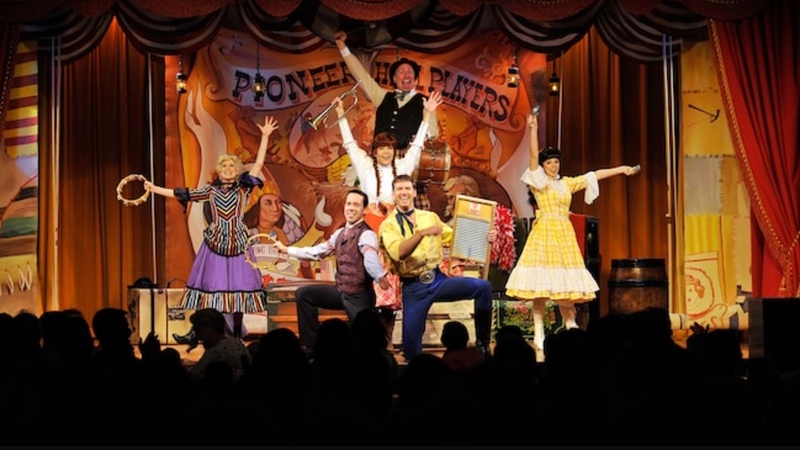 You may prefer to save up for a nice piece of artwork, jewelry, or a special experience like the Wild Africa Trek, a behind the scenes tour, or Fort Wilderness’ popular dinner show Hoop-De-Doo Musical Revue. All of these add up! This probably goes without saying, but you’ll need a ticket to get into the park, and it won’t be cheap! The rate will vary depending on the season and day of the week, and the cost goes down as you add days to your ticket. It will also cost more to visit multiple parks in a day — that requires a Park Hopper pass. This is another place where budget-minded people can get away with one park per day, particularly if you visit Disney Springs or the Boardwalk in the evening, and that’s probably perfect if you have young kids. If you like being spontaneous and want to return to your favorites easily, consider adding a park hopper pass for the extra convenience. If you’re like me, you’ll want to set your GPS or phone to “avoid tolls” and even consider “avoid highways” while you’re in the Orlando area. The interstate is one of the most deadly in the country and not for the faint of heart. And tolls can easily cost you $5-$10/day if you’re driving to the parks! As you’re planning your vacation, there are some additional factors you’ll want to consider as well. Although some people will of course visit Disney World at any time of year, there certain times of the year that are much busier than others, and others that are more desirable, weather-wise, than others. If you’d like to avoid the famous, basically daily, afternoon rain showers (always have a poncho or coat with you! ), you might consider visiting in winter or early spring (think January – May), when they are much less frequent. You can also avoid hurricane season that way. Summers are brutal, particularly in August, so while the crowds will get lower late in the summer, you’ll need to take frequent breaks and consider exiting the parks midday to rest and relax. One of the impressive displays at the 2017 Flower and Garden Festival at Walt Disney World. Crowd calendars like TouringPlans.com can be found online to assist you in choosing the best time of year. Certain weeks in January and September, for instance, are extremely quiet, and weekdays are lighter crowds than weekends. In addition, most holidays and school vacation weeks will get very busy. Christmas and the time around it generally fill to capacity, so you could risk being turned away! Overall, I’ve enjoyed January — March, but the crowds do vary significantly from day to day and week to week. And of course if you want to attend a special event, like Mickey’s Not-So-Scary Halloween Party or the Flower and Garden Festival, that will affect your time frame. Keep in mind that the time of year affects your budget too. Off-season pricing can make both your campsite and your park tickets more affordable. Who do you plan to travel with? Consider your audience when you plan your Disney trip. Although rides are designed for families, there are height requirements that will keep some young children from riding, and some of them may be too frightened for others. Likewise, some newer adults of all ages may want to avoid certain roller coasters and other rides that can cause motion sickness. Be sure to read the warnings on the rides you’d like to go on in advance of finalizing your itinerary. The gnew standard for tour planning is TouringPlans.com. I used them for my first trip and it was well worth it. You tell it what activities you’d like to do, breaks you’d like for meals, etc. and it helps you figure out the most efficient way to visit everything. It even suggests what rides, and when, you should try to book Fastpasses for. ALWAYS book your Fastpasses. You can book them 60 days ahead of your vacation if you stay on property, or 30 days ahead if you’re staying off property and have your tickets purchased. If you’re taking a larger group, consider splitting up during your day. Perhaps only some of you want to ride certain rides, or even visit different parks. Maybe newer adults want an easygoing, sit-down lunch and youngsters need a nap. You want everyone to have a great time, so I strongly recommend considering ways to split up so that everyone can do what interests them as much as possible. I’ve mentioned the idea of heading back to your RV to relax midday. Especially with younger children or in the heat of summer, this is truly the best way to visit. You can sleep, swim and relax for a few hours while the parks are at their fullest and hottest. When you’re ready to return, you’ll have renewed energy and be able to take advantage of how much quieter the park gets later in the evening. Be sure to check the park hours in advance of your trip. I also highly recommend you arrive before the park opens, if at all possible. Being in the park when it opens means you’ll be able to get 2-3 times as much done as you otherwise would. No lines for rides is a truly beautiful thing, especially because you can run to things like Seven Dwarfs Mine Train that you’d otherwise have to wait an hour or two to experience without a Fastpass. If your family aren’t early risers, do consider doing this at least once or twice during the trip. (My husband is the opposite of a morning person, but he admitted over and over again how glad he was that we were there for “rope drop” almost every day.) It makes all the difference. If it just isn’t an option for you, it’s that much more important that you choose your Fastpasses as early as you can. Be sure to make your dining reservations in advance too. You can always cancel them if your plans change, but the popular restaurants book out far ahead, and even the less popular restaurants will be full during the holiday season. You don’t want to be the sad visitors without a place to eat on Christmas! Likewise, consider adding a special addition to your trip. Have a daughter who’d enjoy a makeover at the Bibbity Boppity Boutique? Have kids who want to dress up as a princess or a pirate? Want a backstage tour at the Magic Kingdom? There are tons of options, and although for a first Disney visit, I don’t think you’ll need these, returning guests should definitely consider it. I’d especially consider the add-ons available right at Fort Wilderness, if that’s where you’re staying. As you can see, there are tons of options to consider when planning your Disney World vacation. These trips take a lot of work if done right, but they are what make your trip memorable and even something you’ll want to repeat again. Without planning, Disney can be very stressful and disappointing. Of course, if you plan like I did on my first trip with my husband, you may like it as much as we did and find a way to get an annual pass! Is a Disney Authorized Vacation Planner Worth It? Do consider working with a certified Disney planner. They can make sure you book your meals & experiences right when your window opens (and can even do it for you), make sure you’re getting the best deals, and update you if the pricing changes so that you can save even more money. Best of all? It’s completely free to work with one. And if you prefer to speak to Disney directly, their customer service is excellent, so don’t hesitate to give them a call. Best of luck in your planning! Start here if you’ll need to rent an RV in the Orlando area. And congratulations — you’re going to Disney World!